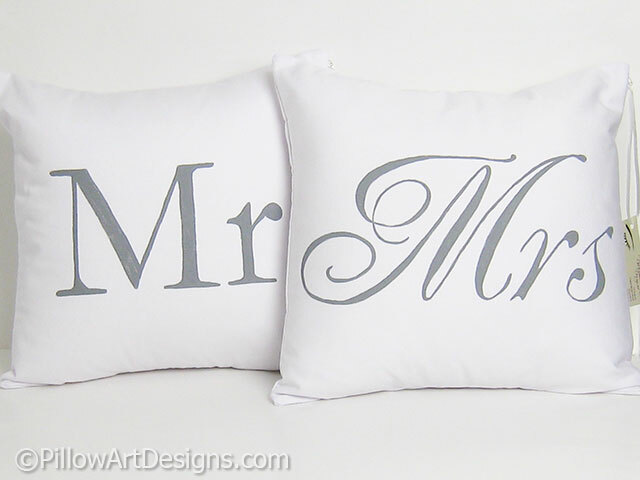 A unique set of husband and wife pillow covers, hand painted in stone grey on white cotton twill. 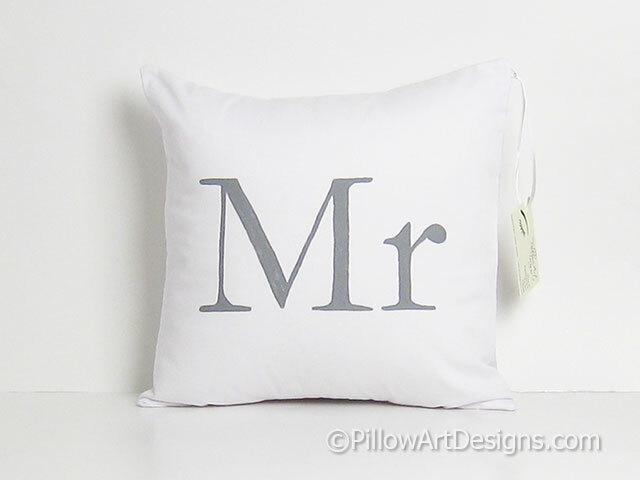 'Mr' is hand painted in a masculine font and 'Mrs' is hand painted in a feminine font, together they compliment each other. 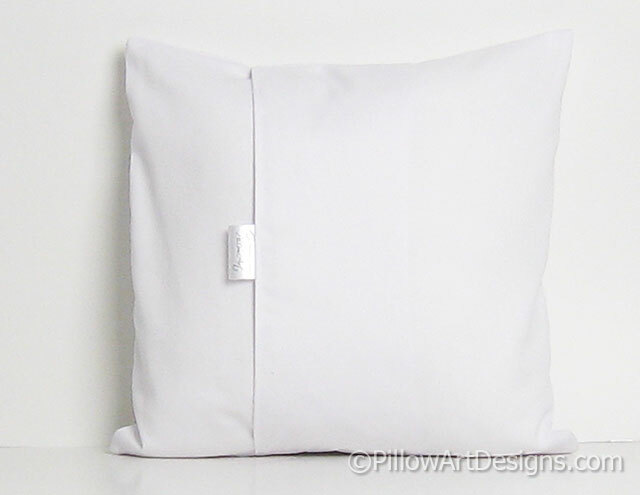 If you wish to include the inserts, price is an additional $9.00 per pillow. 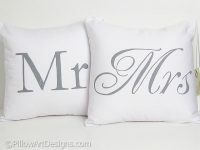 Please contact me here for shipping costs to your location. 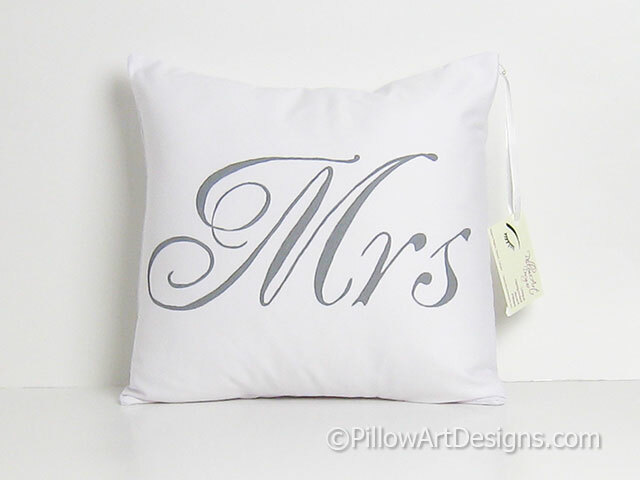 Handmade in Canada by me. Ready to ship.